No, at every iteration your RRT* should give a more optimized path once it has found it. The fluctuations are strange. 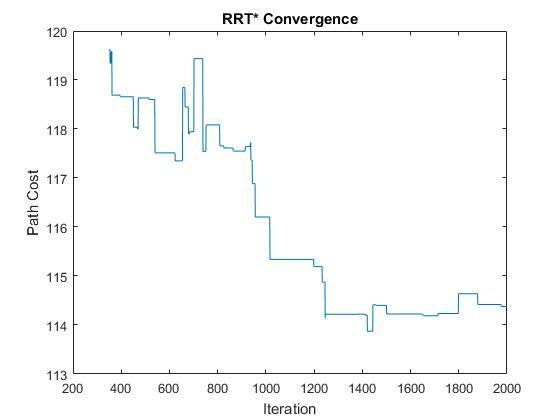 You should try to get a convergence similar to this one. Not the answer you're looking for? Browse other questions tagged motion-planning matlab algorithm rrt or ask your own question. How often does a robot perform A* (A star) path planning in an unknown map?